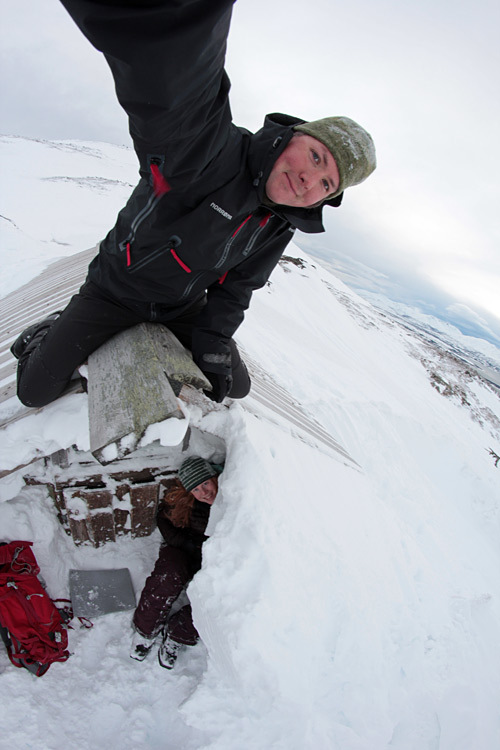 We recently found out about a hut near the top of Fløya that we had never seen – even though we’ve been in the area many times. 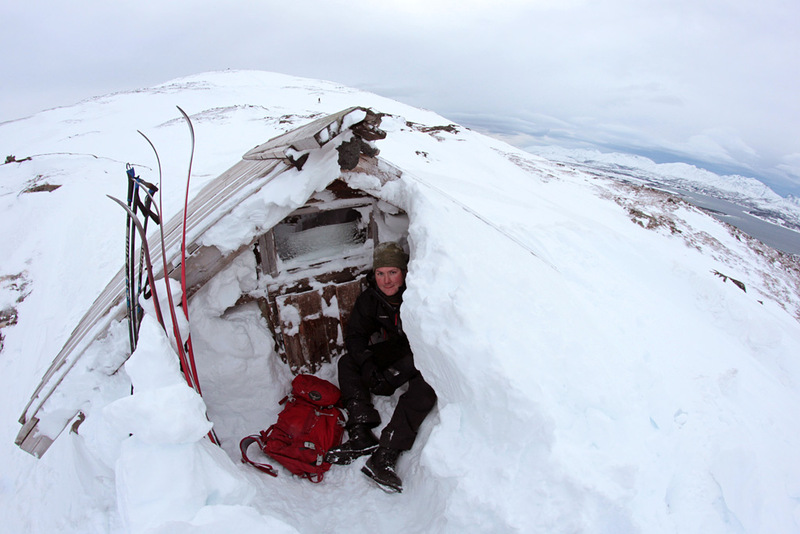 The hut is called Steinbøhytte, and is open year round as an emergency shelter. We decided to visit the hut on Saturday, and took the cable car up. In a straight line, it’s only one kilometre from the cable car station. We were about to find out all about snowdrift, in all its aspects! First of all, there was barely enough snow for skiing, as it had all blown away by strong winds in the past couple of days. Most people walked to the top of Fløya! We tried on ski’s, but we had to take them off several times to walk over patches of bare rock. 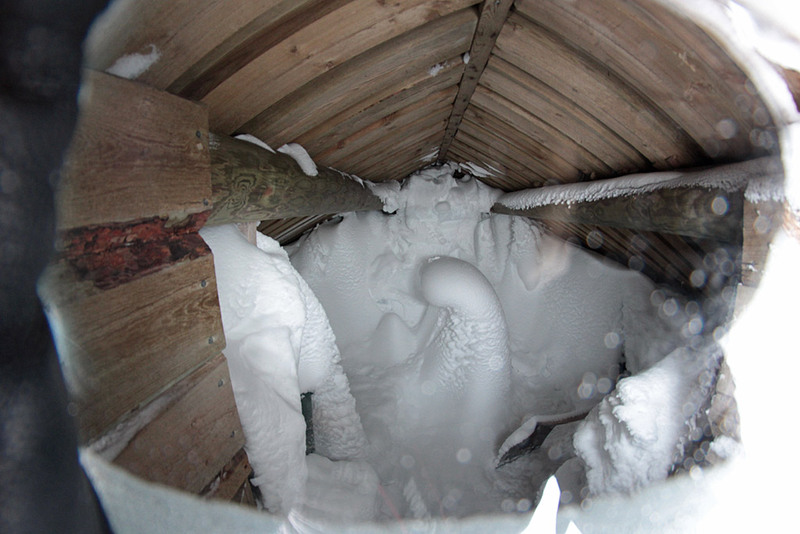 Finally we reached the little hut, and there we discovered the other face of snowdrift… all the blowing snow had collected in front of the hut!! The snow reached up to the roof… We didn’t bring spades and couldn’t find any near the hut, but Paul decided to try using a ski and his bare hands. After half an hour, he had dug out the upper part of the front door, and a little window above it. We decided it would take way too much time to dig out the entire front door, and when I took a little peek through the window, it became obvious that there wasn’t much point either: there was almost a much snow inside as outside! 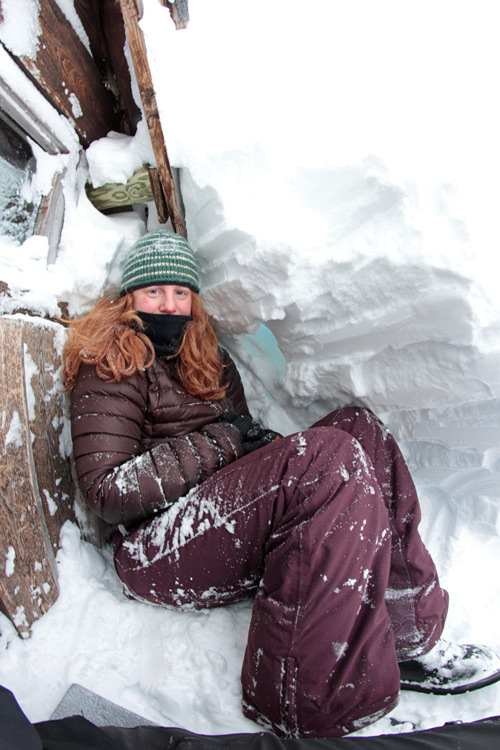 Instead we built ourselves a shelter from the wind that was still blowing the snow around, and enjoyed a warm drink and some cake. Paul climbed on the roof (not much climbing involved) to play with our new fisheye lens. 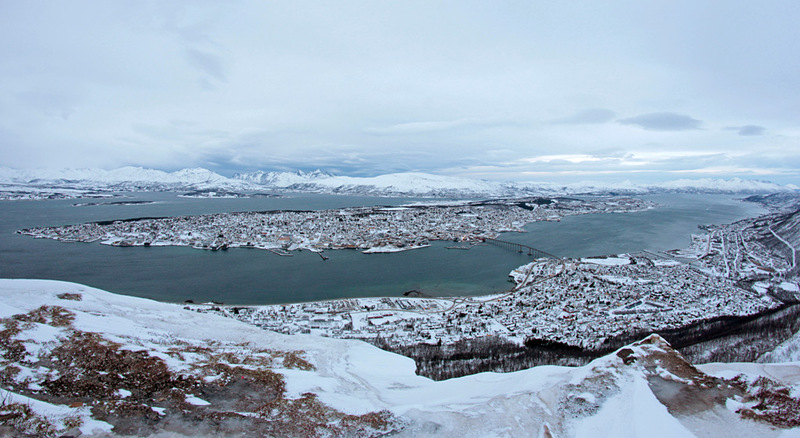 Another benefit of the fisheye lens: all of Tromsø island fits in one photo!